A major upgrade for the Large Hadron Collider (LHC), which is already known for its cutting-edge science, has begun. Engineers work should double the energy of the LHC, already the most powerful particle accelerator in the world. The engineers’ tasks also include testing and replacing some of the LHC’s main dipole and quadrupole magnets, which are used to bend the paths of the particles and keep them tightly bunched; conducting tests to detect any irregularities in the magnets or imperfections in the electrical insulation; and a range of other work to improve the machine. The LHC upgrade will enable it to discover new particles leading to a radical change in our understanding of how the Universe works. The discovery of Higgs particle last year was the end of a successful chapter of late 20th Century physics. This was the development of the current theory in the 1960s and 70s called the “Standard Model”. This theory says that most of the forces of nature, the objects around us and our own existence, are all down to the interaction of the Higgs with 16 other particles. It successfully explains how electricity, magnetism and light operate. 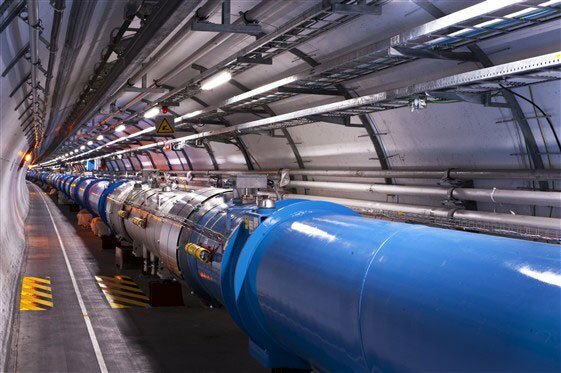 Since then, all the particles predicted by the Standard Model have been discovered – including most recently the Higgs. The problem though is scientists known this theory is limited. It explains extremely well the world around us, but it cannot explain the way most of the Universe behaves. Physicists hope that by operating at full power, the LHC will be able to find evidence of so-called supersymmetric particles. These are like the particles in the Standard Model – but more massive. One form of supersymmetry predicts that there should be five Higgs bosons, which are each slightly different.